Sensory acuity is how accurately a stimulus can be located. It varies between areas of the body depending on function, for example, the fingertips require a greater sensory acuity than the forearm. This is determined by 3 things: lateral inhibition of the CNS, two point discrimination, and synaptic convergence and divergence. Lateral inhibition is the ability excited neurones have to inhibit the activity of neighbouring neurones. This prevents the spread of an action potential laterally. The result of this is an increased contrast in excitation between neighbouring neurones, allowing increased sensory acuity. Whilst lateral inhibition is utilised in most sensory processing, it is most important in visual processing as it helps to increase the contrast and sharpness. Lateral inhibition is also important when processing fine touch, as it results in precise areas of stimulation – allowing a person to pinpoint the area being touched. Fig 1 – Diagram demonstrating the process of lateral inhibition. All three neurones are stimulated, however in this case neurone B is stimulated the most and so sends inhibitory signals to neurones A and C.
This refers to the minimum distance required between two simultaneous stimulations applied to be registered. This tends to vary depending on which part of the body we are testing. For example, in the finger tips, the minimum distance required to achieve this phenomenon is smaller than the distance required further up the arm. Two things determine two-point discrimination: density of sensory receptors, no size of neuronal receptive fields. The higher the number of sensory receptors in a region, the better the sensory perception of the region. Fingertips have 3-4 times more density of sensory receptors than the hand. Each neurone has a specific sensory space that if simulated will result in the firing of that particular neurone. This is known as the receptive field of that neurone. The receptive field varies in size. The larger the receptive field, the wider the area that it detects changes in but has less precise perception, and vice versa. Receptive fields can overlap which also results in reduced precision of perception. 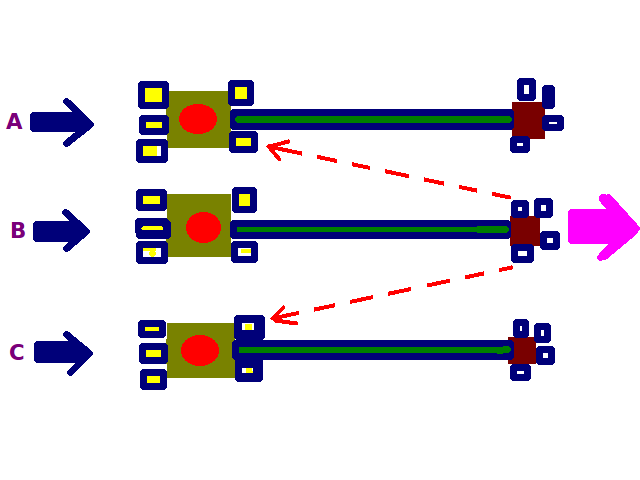 Fig 2 – Diagram showing the two point discrimination distance of various parts of the body. Synaptic convergence is when several first order neurones converge on one second order neurone. Synaptic divergence involves one first order neurone stimulating several second order neurones. Synaptic divergence allows for a more precise sense of perception by amplifying the signal whereas synaptic convergence results in reduced acuity. Two point discrimination is often tested within a neurological examination to assess tactile perception. It should be carried out with the patient’s eyes closed to prevent the interference of visual stimuli. 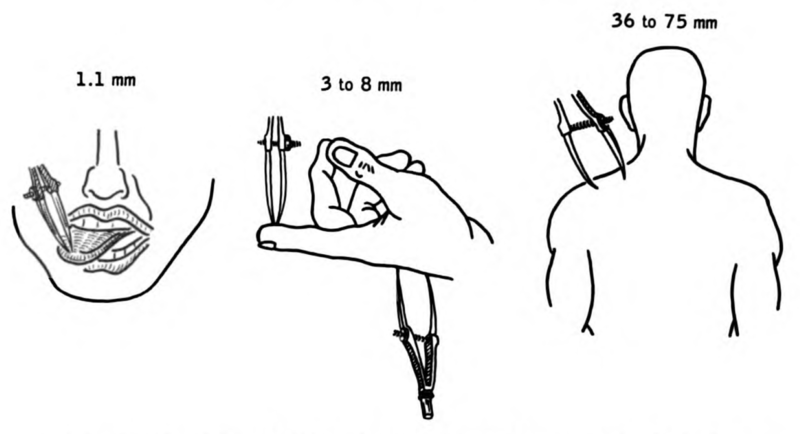 A caliper, or reshaped paperclip, should be used and the patient should be asked when touched to report whether they felt one or two points. The smallest distance between two points that still results in the perception of two stimuli is recorded as the two-point threshold. The two-point threshold can be reduced by either damage to a peripheral nerve or damage to the Dorsal Column-Medial Lemniscal pathway.